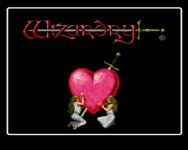 "Wizardry V: Heart of the Maelstrom is the fifth scenario in the Wizardry series of computer role-playing games. It was published in 1988 by Sir-tech Software, Inc. for the Commodore 64, Apple II and as a PC booter (using DOS)." Source: Wikipedia, "Wizardry_V:_Heart_of_the_Maelstrom," available under the CC-BY-SA License.